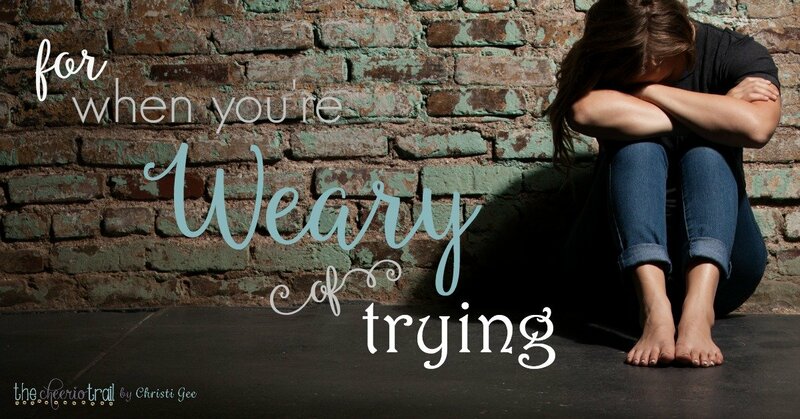 Are you weary from trying and feeling like a failure? It’s a Wonderful Life failed 70 years ago, but now it’s one of the top Christmas movies. Did you know “It’s a Wonderful Life” turned 70 last year? Did you know it initially bombed at the box office, leaving the producer in debt and feeling like a failure? The movie that featured a main character who thought his life didn’t matter ~ didn’t catch anyone’s attention initially. The movie that NOW ranks in the top three of every major list featuring “Best Christmas Movies” rolled out with a whimper decades ago. I find that encouraging. How about you? Did you try something that whimpered this year? Are you weary from investing with very little return? Are you waiting … and in the waiting, questioning if you are on the right track? 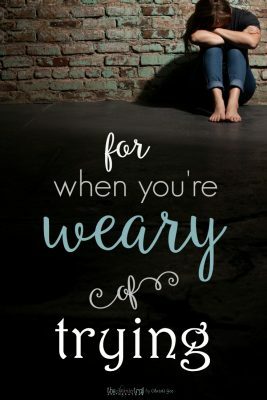 That word “weary” comes up a lot this time of year. The holidays magnify aspects of life that aren’t like they used to be, and the year’s end brings on reflection like a tidal wave. We’re faced with all the hopes and dreams unfulfilled and weary threatens to squeeze out wonderful. In place of trusting God’s timing, our faulty thinking tempts us to feel like a failure. I don’t know about you, but if you’re even slightly normal, you likely need this reminder here at year-end. The weary world had watched for millennia for the promised Savior, but the new and glorious morn dawned when God determined the timing was full, or fulfilled. Think about the many centuries the promise lay unfulfilled. The Hebrews 11 “Hall of Faith” ends by noting that NONE of those heroes received what was promised. The truth Paul spoke of in Galatians 4 about “fullness of time” is wrapped in the Christmas advent. There’s that word weary again. It’s also followed by a promise of hope and a call to keep going. So there’s a theme here for us. Dear friend, 2000 years ago, the promise was worth the wait. The thrill of HOPE will not disappoint if we look to the one who breaks through the darkness with a new and glorious morn. And really, what other choice do we have? So we replace our weary whimpers with reminders that “It’s a Wonderful Life” because Jesus appeared the first time. And we wait with eyes fixed on the promise of His RETURN. And we exchange our struggling for worth to falling on our knees, trusting Him to thrill us with His hope. 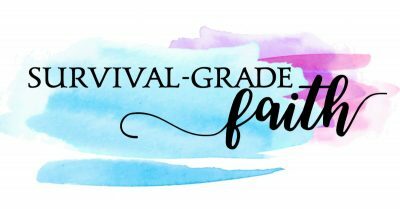 Combat feelings of discouragement and brokenness with survival-grade faith.